In my Backing Up QuickBooks Data article I talked about the importance of a good backup plan for your business. Today I’ll talk a bit about one portion of a good plan, using online backups. When I’m hired to evaluate a business and their QuickBooks procedures one of the first things I look at is how they are making backups of their data. 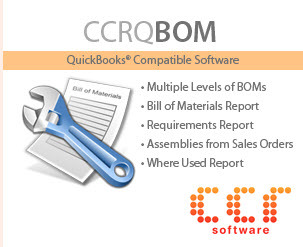 Not just their QuickBooks data, but all important electronic business information. All too often I find that there is no comprehensive backup and recovery plan in place. Some businesses have a plan, but they aren’t being implemented correctly. The most common reason is that backing up data is time consuming, complicated and a major hassle to perform. That is why I like online backups – they are simple to implement and don’t take a lot of effort to run. The basic online backup system (of the type that I like) works in the background. You set the system up, you specify the files to be backed up, and then you can pretty much forget about it. When your computer is idle for a few moments, the online backup program will find any files that have been updated and will copy them to a secure place on another computer, over your Internet connection. If you start using your system, the program waits. Why is this a good system? Once you set it up, you don’t have to remember to actually “run” the backup procedure. Most people aren’t good about making backups because they are just too busy, they put it off until later. These online systems work in the background and do not require you to do anything. They just work. The backup is made every time that you change a file. If you are backing up important Word documents, for example, each time you save a revision it will be backed up at the next opportunity. QuickBooks files are usually backed up whenever you close the company file (this may vary with different backup systems). Some systems only keep one revision, so if the file has been damaged (and you don’t realize it right away) your one backup copy may be bad data (which is one reason why you don’t rely ONLY on this method). You might not have protection against deleted files. Some of the backup systems only keep files that you are currently using, rather than archiving everything you have ever had on your computer. So if you accidentally erase a file on your computer and don’t realize it until a week later, that file might not be found in your online backup. I can’t say this often enough – this is just a part of a good backup plan. Don’t rely JUST on these kinds of backups. You need archival backups, and you need to use different “layers” of backups, as I outline in my data backup article. There are many different products available, each with it’s own benefits and drawbacks. I don’t have a comprehensive evaluation of all that are available, but I can relate my experience with two: Carbonite Online Backup and Data Deposit Box. This is the online backup system that I currently use. It is simple to set up, it works flawlessly in the background. If there is something wrong in your setup and several days go by without a backup taking place, you get an email reminder asking you if there is a problem. The biggest advantage of this system over Data Deposit Box is price. You pay a flat fee for each computer you back up, without regards to volume. I generate a huge amount of information with document files, source files for programs I write, and more. With systems that require you to pay by volume I found that the charges were getting very high, and I had a tendency to pick and choose which files to back up. Sometimes I might miss a new file, or I might decide to not back up something to save space and later find that I needed that. With Carbonite, I don’t worry about this. I just specify the folders to watch and it takes everything. Another advantage is how you work with your file. 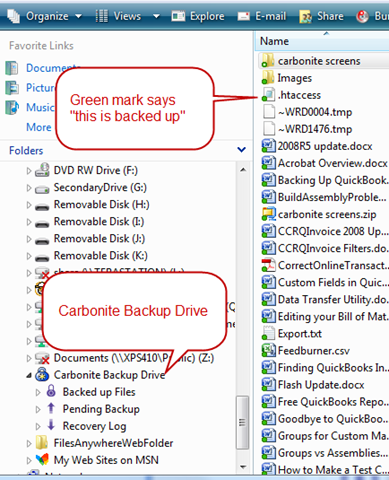 The Carbonite backed-up files are accessible via a the Carbonite Backup Drive. You can easily locate files using Windows Explorer, just as you manage any file in your system. Also, in Windows Explorer, you have visual cues that tell you if a file or folder are backed up, or waiting to be backed up. Carbonite is reasonably priced, simple to use, and works entirely in the background. The primary disadvantage to this is that it doesn’t keep “revisions” of files, or a history of files. That is, the copy that you see backed up is the only copy, Carbonite keeps a limited number of “revisions” of files, and you might not find a particular revision if you have to restore an older version. AND if a file is erased on your computer, it will eventually be removed from the backup. This is not an archival system, you can’t rely on it as your primary backup. I used this product for several years, and I still use it in some circumstances. The system is simple to set up, but it is a bit more “technical” than Carbonite. Some people who aren’t very comfortable with managing files on their computer may find this a bit complicated to set up. Restoring backups also was much more complicated to do. Rather than working through Windows Explorer you will use a web based system. Another issue I ran into with this was that you pay by the volume you have backed up. Initially this wasn’t a problem for me, but as time went on, the monthly fees became much higher than I wanted to pay. If you are backing up a specific set of files, such as your QuickBooks data, this should not be a limitation. Data Deposit Box has some significant advantages over Carbonite. The most important, for some users, is that it can be used as an archival backup. That is, you have options to save multiple copies of files. If you have a Word document, for example, and you revise it, you will end up with two copies of the file. The most up to date, and the prior revision. For some circumstances this is very important. You are less likely to find that your backup copy has been damaged – you have the option of going back to a prior version (perhaps several). 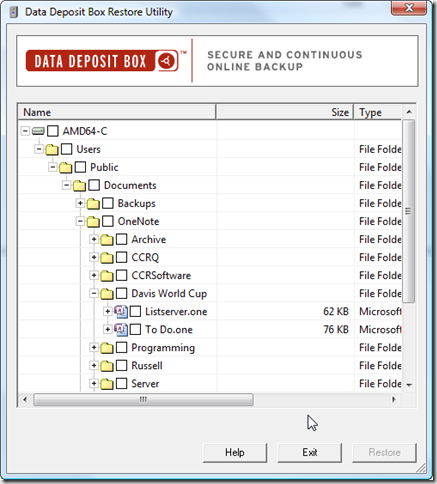 Another significant feature is that if you delete a file from your computer, Data Deposit Box will continue to hold a copy of the file in the backup (rather than erasing it after a period of time, like Carbonite). Of course, the more copies you keep, the higher the fee. You may find, in some cases, that you pay less for this service than you do with Carbonite. If you back up a limited number of files your volume charges will be low. So how do you choose which to use? Of the two that I list here, if you have a small volume of data (or your data is scattered on a large number of desktop computers) and are comfortable with setting up some slightly technical software (or have an IT person available), I’d probably pick Data Deposit Box. If you have a large volume of data, with a smaller number of computers, and you want something that is very simple to set up and use, I would think about Carbonite. There are many other products out there that can do the same kind of thing. One of the originals is “Mozy”, but I have no experience with that. Of course, if you are using QuickBooks, there is the QuickBooks Online Backup Service. I haven’t used this service either, as it is too expensive for the large volume of data that I have to back up. Again, note that I’m backing up quite a bit more information than just my QuickBooks data. If you have used ANY of these kinds of services please leave a comment about what you have used and how you liked it! I use Carbonite and love it, however, I have two additional comments. 1)I recently learned that you can indeed restore a file to a point in time with Carbonite. I corrupted my QB data file and the corrupted file backed up to Carbonite. After countless hours of trying to fix the corrupted file, a friend informed me that Carbonite now offers point in time restores. I had my data back in minutes. I wasn’t aware of this feature because I hadn’t the need to restore! 2)Clients still need to run a QB backup from within QB. I create a qbb file and save to my hard drive. The qbb file is then backed up to Carbonite. This addresses the tlg file maintenance as well as the online backup. I didn’t think to do this for quite a long time. My data file started running slow because my tlg file got too large. The only way to reduce the tlg file size it to perform a QB backup. 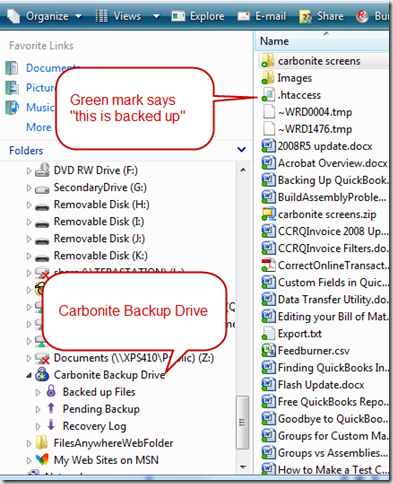 Charlie: Will Carbonite allow a restore to a pc other than the one initially backed up? Kathleen: I will update the article as to Carbonite and prior revisions – there is some limited ability to get prior revisions. However, I don’t consider it adequate for “archival” purposes. The prior revisions aren’t all kept – they keep a selection of them, with recent revisions kept but after awhile it starts to weed them out. My experience with this doesn’t match what the help file says – I don’t see as many revisions kept as they say. And they delete backups of files that you have deleted from your computer after 30 days, which I don’t like. ALSO – very good reminder about the QuickBooks backup – I do mention that in the other backup article (that this article links to), so I didn’t repeat it here, but it is critical that you periodially run the QuickBooks backup feature to clean up the QB data. Jerry: Carbonite will let you restore files to a different computer, but it is a bit complicated. I haven’t tried it myself. The help file says that you need to install Carbonite on that other computer, and then you have a different process to follow. They do have a tutorial on how to do this. There are some potential issues here – if it is a one-time thing, not a problem, but if you do this regularly you then have to pay for an account on that other computer, as I understand it. Data Deposit Box is better in this regards – you aren’t paying by computer, you are paying by volume of data, and so you can restore data to any computer you wish. Anna: Good for you for testing if your backups are good or not! Lot’s of people don’t find out about that until it is too late. Unfortunately, I don’t have a direct answer for you at this time. 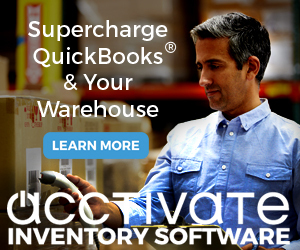 One question – do you run QuickBooks in single user or multi user mode? If you think you are in single user mode, double check by selecting “File” and seeing if it says “Switch to multi user mode” or “Switch to single user mode”. A test that you can make quickly – make a backup with QuickBooks to create a QBB file, and save that in a folder that you set up for backups. Then have DDB back up the QBB file. Restore the QBB and see if you can open that. How do I know that all of my QB files are downloaded from Carbonite? Will Carbonite put them all in a nice folder and I download the folder that contains all my .qbx files? I just had to re-format my computer and do have Carbonite. Just not sure what to do with the files being download. I re-installed QB 2008 and re-installed the Carbonite downloader program, now what? Helen, you can look in your Carbonite folder online to see what is there. The primary file, if you are on a Windows system, is your “QBW” file. That is the primary data file. There are others, but used less (for the shipping manager, loan manager, etc). Your PROGRAM files most likely have to be reinstalled from the program CD rather than from Carbonite. Thanks Charlie, I reinstalled the QB program from my disk, I need the “data” files though from Carbonite, for the QB program to open. I have around 400 QB invoices I need to recover, what would I be looking for? Just one folder or file? Helen, you are looking for a file with a file type of “QBW”. Without knowing how you set up your system in the first place I can’t tell you where exactly the file is – you actually can put it anywhere when you create a company file. If this is a multi user situation it might not even be on your local computer. If it is single user, and you are on Vista, take a look in C:UsersPublicDocumentsIntuitQuickBooksCompany Files – that would be a typical default location. I see a QBW file downloaded by Carbonite, can I “import” that into my newly installed QB program? Just trying now to figure how to get the old QBW file into the newly installed Quickbooks 2008 program. Helen, copy that QBW file to any place on your system that you like (assuming this is a single user situation). Your “My Documents” folder is OK, if you are the only user in QB on that system. You could use the Documents folder in the public user folder as well. If you have Vista, you could use the path in the comment I left a bit earlier. It actually isn’t important where it is (if you are the only user) – other than you need to be able to find the file and it should be in a place that your Carbonite backup system is watching. Then run QB and use the Open Company File option to locate that company file and open it – that should take care of everything. 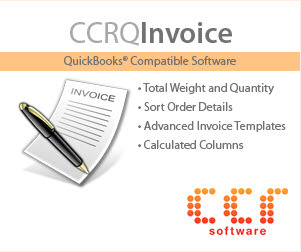 Is it duplicative to purchase the online backup offered by Quickbooks if you already have Carbonite?